During the first two parts of this Holiday Happiness Series we put the holiday season in perspective by looking at the big picture, answering two essential questions to help us consider what would (or could) make the holidays happy and joyous rather than stressed and frustrating, understanding how kindness and gratitude are scientifically proven to ease the stress of this time of year, and starting to create a “Holiday Happiness Plan” to help guide us through the season. So if you haven’t read the first two installments of the series, read them now to get up to speed on all this and make a big impact on your holiday happiness (it’s not really too late). Click here to go to Part 1 and click here to go to Part 2. Based on what we’ve done so far, is this holiday season a bit smoother yet? If not, first, maybe you haven’t scheduled your time in the best way possible. Did you create your “Holiday Happiness Plan”? Did you schedule your down time as suggested? 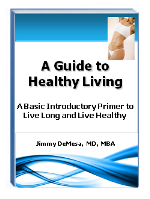 Have you maintained or started an exercise program? If not, make sure to go to the article, Exercise and Happiness by clicking here. Have you used transformational vocabulary yet to reduce your emotional reaction to life’s events and circumstances? If not – and if things are starting to get hectic and stressful - please don’t ignore these tools. They can really help. Keep your mind and body as fit as possible always - especially during this time of year. Go back and re-read Parts 1 and 2 of this series again if necessary. 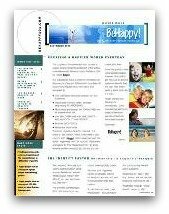 Because now, in Part 3 of this “Holiday Happiness” series, we want to explore a couple of psychological issues associated with the holidays for many people - rules and neuroassociations - and start to reverse any negative effects these issues may have on your joy and fulfillment at this time of year. With this many these rules (and "must" rules at that), it could be difficult to enjoy the holidays to the fullest since there are so many opportunities for some (perhaps many) of these rules to be broken (and several are totally out of your control). Also, with all these rules, you are certainly placing significant undue pressure on yourself. It might not even be as much fun since, for example, you would not allow yourself to be free to eat some of the great holiday food because you “must not gain weight” or perhaps take a few days off from work since you “can’t let your ‘work’ suffer”. Yes, too many rules can be a negative influence on our holiday happiness, just as they can be a negative influence on our lives in general (even if some are quite valid as in the example above). I can’t get into this concept of rules in depth here in this “Holiday Happiness” series, so I will just say that, if you feel you are stressed and anxious every year at this time, consider whether your rules about the holiday season are having an effect on your enjoyment of this time of year (for more information on the subject of rules click here). And if you do have lots of rules related to the holidays, it’s essential for you to eliminate or change some of those rules if you want to enjoy the season more. While that’s not usually an easy task (remember, these are deep-seeded, psychologically-based issues), it can be done. Sometimes it takes a few years of focus and effort to make the desired changes, but some rules can be changed almost immediately for a quick effect (in other words, it's not too late for this year). For example, let’s say one of your rules is that “the holidays are only spiritual and family connections and that the commercialism of the season must be avoided”. While this may be true to some extent, the fact is, shopping, partying, gift-giving, and “feasting” are all part of the holiday process these days. And it is possible to enjoy this aspect of the season without getting caught up in it – or spending too much money. But if you dread the holidays – and are miserable during this time of the year because of this rule - you can either stick to your rule and remain somewhat miserable or you can change your rule to something like, “the holidays are a great time for spiritual and family connection and also an opportunity to engage in the stimulating non-spiritual aspects of the season”. [NOTE: If you have strict rules about the holidays, but they don’t affect your happiness negatively, you don’t necessarily have to change it – unless, for example, it affects someone you love negatively]. Then (and I know this may sound weird to some of you), close your eyes and think about your new rule (guideline) for a few minutes. [NOTE: During Tony Robbins’ Date With Destiny program, my wife, Jill, went through this process to change some of her rules about life and she actually started crying when she crossed out her old rule. It can have that “real” of an effect). Do this for any holiday-related rule that might be keeping you from enjoying the season more and you will likely have a completely different, more positive experience. Another psychological factor which can influence our holiday happiness is the concept of neuroassociations. Neuroassociations, like rules, can be very deep-seeded issues originating from the time we were born. We all experience neuroassociations. My favorite example of a neuroassociation, which most of us experience at some point, is when we hear a song from the past, and we immediately associate the song with a great time in our life. When you hear that song, you sometimes get a smile on your face and start to “feel” yourself back in college – or whenever it was that the song was playing. It’s an association that is “wired” (neurologically) into our brain. Various associations in our brains can make us react emotionally to certain events during our lives. And if, for some reason, there is a negative neuroassociation in your subconscious (or even conscious) mind about the holidays, it will be difficult to enjoy this time of year. Let’s say, for example, you have a negative neuroassociation to the holidays partly because every year when you were young, your parents had major arguments at this time of year because of the financial stress they were under. You obviously can’t change the past. It happened. So now, you have to replace that negative neuroassociation with something much more positive - so positive that it overpowers your negative emotions. Maybe, for example, you create your own “family holiday tradition”. You might bring your family together and sing Christmas carols every night (if Christmas is your holiday) from December 15th until the 25th. First, if you have children, it will create a positive neuroassociation for them (and it's highly likely they'll carry on the tradition when they’re grown up) and second, it will help “dilute” (and perhaps eventually eliminate) your negative neuroassociation. You will enjoy the holidays more by doing this. This is just one simple example and there are many more. So consider your rules and neuroassociations. Evaluate whether they are affecting your ability to enjoy this time of year. And realize, the stress of the holiday season will certainly still be there, and it may get intense at times. 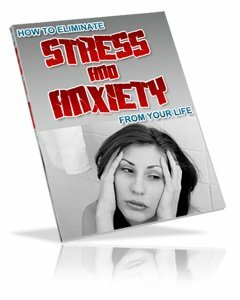 We just need to be able to deal with those stresses well, using the tools and strategies suggested in this series (among other strategies found here at BeHappy101.com), with the big picture goal of being able to look back over the holiday season with an overall sense of pleasure and joy. So – and this is an important point - it doesn’t mean everything goes smoothly and there is no stress. It means being able to deal with the circumstances and these emotions, and doing things – proactively – that will allow you to enjoy the process and look back over the holidays with a positive feeling. So now, with the holiday season upon us, we need to take the next step in implementing the BeHappy! holiday process to really reduce the anxiety and achieve that big picture goal. That is: address – and alter – your holiday rules, and create positive neuroassociations to help enjoy the holiday season more and more. Click here to go to Part 4 of the "Holiday Happiness" series. it can really be used for any holiday planning to make your holiday season the best planned, most relaxed, most enjoyable ever! It’s packed with over 80 pages of easy to use tools that cover holiday planning, shopping, gift selection, decorating, invitations, meal planning, and much more!